Make super soft, comforting Bedding Blankets part of your bedroom decor with the Baby Bird Blanket. Stay warm at night and add to your bedroom decor with our Coma Inducer Twin XL Blanket - Baby Bird. Stay warm at night and add to your bedroom decor with our Coma Inducer Blanket - Baby Bird - Mimosa. Make super soft, comforting Full Bedding Blankets part of your bedroom decor with the Baby Bird Luminous Oversized Throw/Full Blanket. Create a luxuriously soft and comfortable sleep environment with our Coma Inducer Duvet Cover - Baby Bird - Glacier Gray. 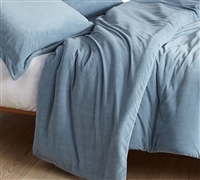 Create a luxuriously soft and comfortable sleep environment with our Coma Inducer Duvet Cover - Baby Bird - Smoke Blue. Create a luxuriously soft and comfortable sleep environment with our Coma Inducer Duvet Cover - Baby Bird - Mimosa. Complete your Bedding set with the addictive comfort of the the Coma Inducer Twin XL Sheets. 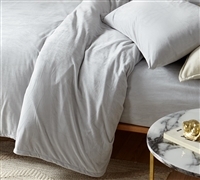 Complete your Bedding set with the addictive comfort of the the Coma Inducer Sheets. Add luxurious, plush comfort to your Bedding with our Coma Inducer Comforter Oversized Bedding - Baby Bird - Glacier Gray. Add luxurious, plush comfort to your Bedding with our Coma Inducer Comforter - Oversized Bedding - Baby Bird - Smoke Blue. Add luxurious, plush comfort to your Bedding with our Coma Inducer Comforter - Oversized Bedding - Baby Bird - Mimosa.